The Secret Science Club: Journey to the Center of Your Mind! The Secret Science Club presents Brain Explorer Partha Mitra, Wednesday, July 6, 8 pm @ the Bell House, FREE! Journey to the Center of Your Mind! 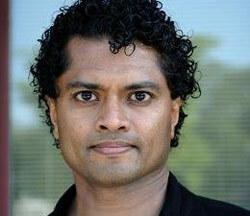 The Secret Science Club presents Brain Explorer Partha Mitra, Wednesday, July 6, 8 pm @ the Bell House, FREE! It's all in your head . 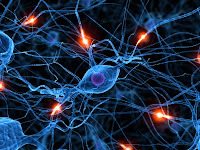 . . One hundred billion neurons. One hundred trillion neural connections. The architecture of the human brain is more complex than any super computer. In fact, neuroscientists recently calculated that one single human brain contains more “switches” than all the computers on Earth combined. And yet . . . we still know so little about what makes the mind tick. Partha Mitra of Cold Spring Harbor Laboratory is seeking to change all that, embarking on a bold new project to map the brain’s architecture. Dr. Mitra asks: What is the brain circuitry that underlies human behavior and emotion? How many basic emotions do we have, and what causes them? How can we fundamentally expand our knowledge of the brain’s systems and interconnections in order to better treat neurological conditions and diseases of the mind? --Peek into Dr. Mitra’s mind-blowing microscope! Don't miss one microsecond of this mind-expanding evening! 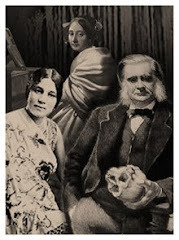 This cerebral edition of the Secret Science Club meets Wednesday, July 6 at 8 pm @ the Bell House, 149 7th St. (between 2nd and 3rd avenues) in Gowanus, Brooklyn, p: 718.643.6510. Subway: F or G to 4th Ave; R to 9th St.